At Stowlangtoft Healthcare we believe it is important that you are happy in your choice of care home and that it has the right facilities for you. To a great extent what you will need from a care home is determined by your care needs, along with your own personal preferences. The Care Quality Commission has a useful online search tool to find homes by location and the services they offer. Once you have drawn up a list of care homes that you think might meet your specific needs, then it is time to arrange some visits. It is essential that you visit any care home you are considering in order to meet the staff and residents. You may want a close family member to accompany you on these visits to help you make a decision. This process of choosing a care home should not be rushed. 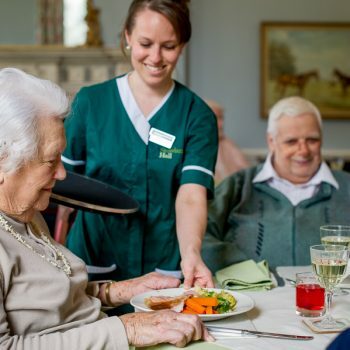 If possible, you should plan more than one visit to each care home you are considering to see what they are like at different times of day, for example, visiting at meal times will help you not only determine the quality of the food, but will also let you assess how the residents and staff interact. Once you have chosen the care home that you prefer, the question is, can it accommodate you? There is a growing demand for care home places, so an opening at your preferred care home may not be available now; plan ahead and ensure you have a list of residential care homes to choose from. You are welcome to visit all Stowlangtoft Healthcare nursing home at any time. Although, for a full tour it is best to call and book an appointment.